You may see this prompt after trying to connect to NordVPN on a Mac. To proceed with the connection, you have to enter your NordVPN password. It usually happens if you are using our IKEv2 application on a macOS version lower than 10.12. Our IKEv2 app is officially supported on macOS 10.12 and higher versions. 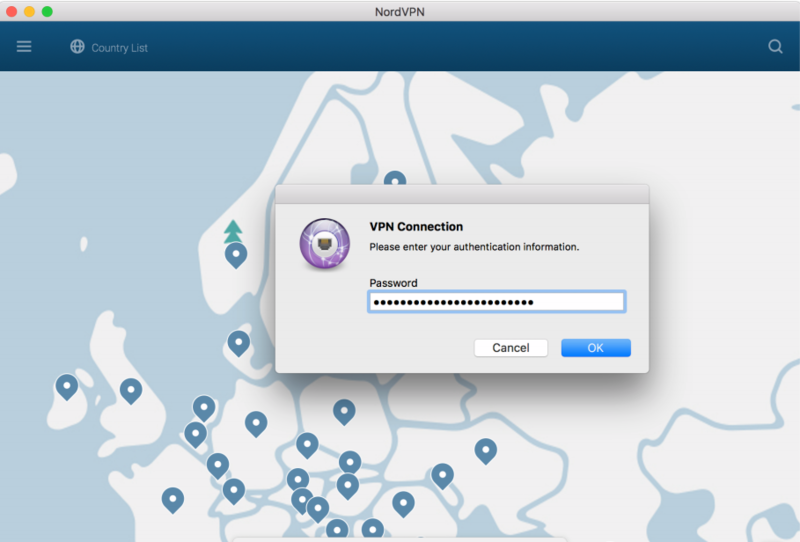 If your macOS version is lower than 10.12, you should use the OpenVPN version of the NordVPN app for Mac. In case the issue persists, remove the NordVPN application, reboot your Mac and reinstall the NordVPN application. Double click on the NordVPN entry. Go back to the NordVPN app. 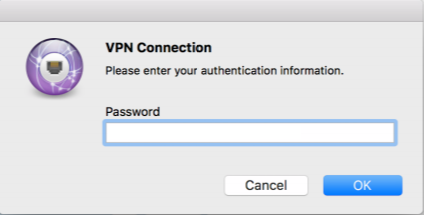 Paste the password to the VPN Connection pop-up and try connecting again.